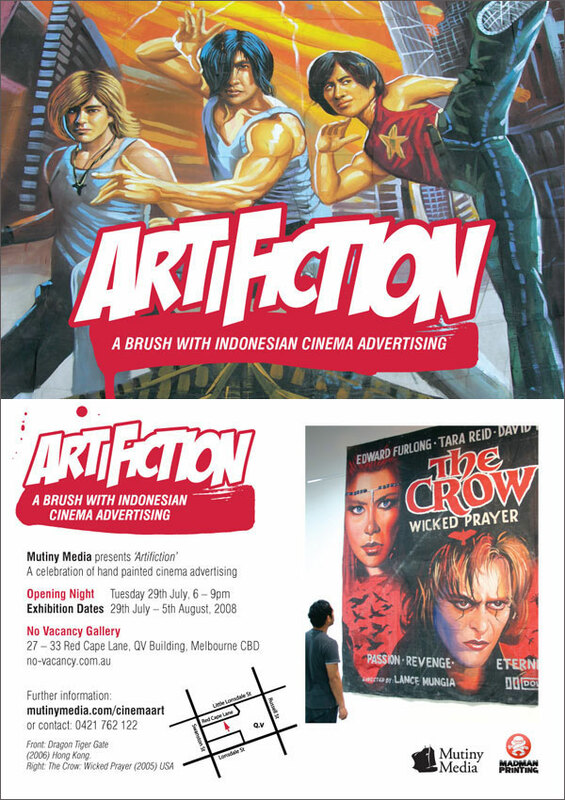 A series of Mutiny Media exhibitions from 1999 to 2008, showcasing the craft of cinema advertising and sign writing from Indonesia. 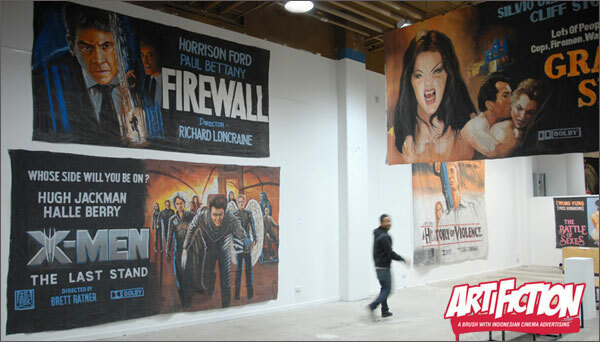 Indonesian billboard artists interpret film marketing graphics from all over the world onto canvas banners. The Artifiction exhibition was a rare opportunity to view these prized examples of hand-painted billboard art. from USA, Dragon Tiger Gate from Hong Kong and Shut Up (Tais Toi) from France. 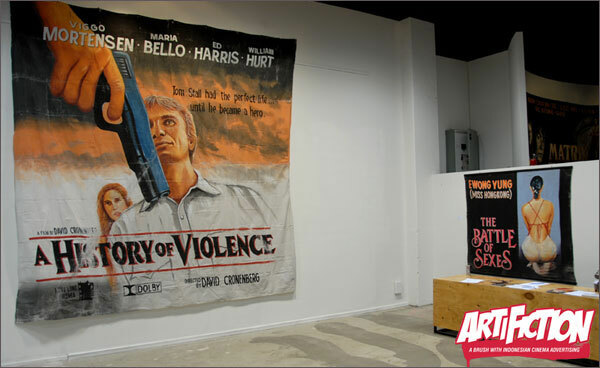 Pop Gun was an exhibition of cinema art held at The Lounge nightclub in Melbourne - 12th June to 3rd July 2001. The show explored loaded imagery in Indonesian film advertising. These hand painted works on canvas have all at one point in time been outdoor advertising. The exhibition explored the ways films are repackaged for cultural acceptance. Local Indonesian artists were employed by distributors and cinemas to create these posters quickly and accurately. 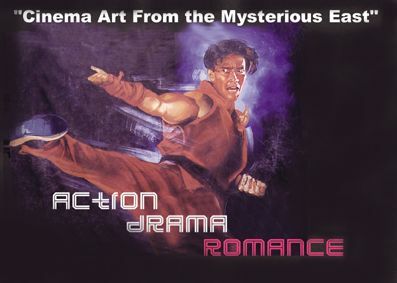 The posters on show included titles from America, Europe and China, in the genres of action, drama and romance. 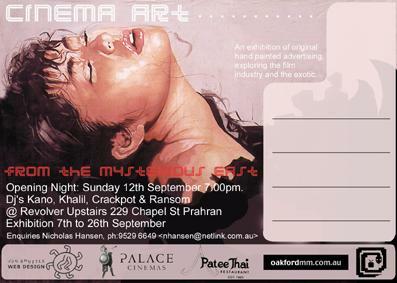 Cinema Art From the Mysterious East was an exhibition of hand painted cinema art at Revolver nightclub in 1999.